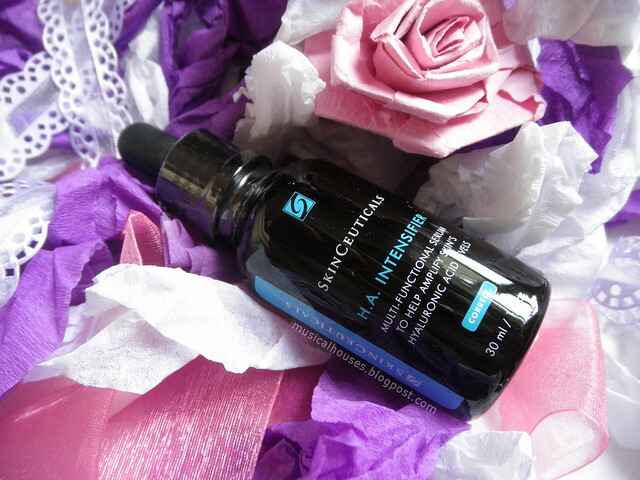 Skinceuticals recently launched their HA Intensifier, or Hyaluronic Acid Intensifier. As the name suggests, it's a serum/booster product with hyaluronic acid - but more than that, Skinceuticals also claims that the HA Intensifier will also help to boost your skin's ability to make its own hyaluronic acid, beyond just replenishing it. 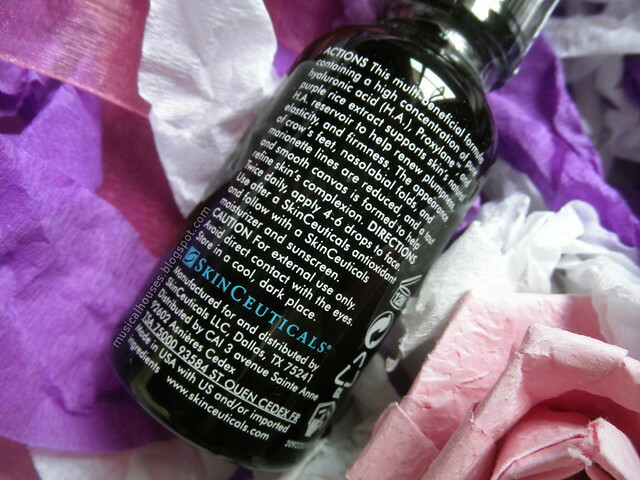 Application-wise, Skinceuticals recommends this go after your toner, but before your other skincare products. Skinceuticals is one of those brands that's a little niche, but has quite the following among skincare devotees, particularly for its CE Ferulic (which is sometimes considered the gold standard in Vitamin C serums). So I was pretty excited about the HA Intensifier, and was hoping that it would also live up to the brand's reputation for good skincare. I'm sure at this stage, you're curious about so many things - does this serum live up to Skinceuticals' brand reputation? How exactly does a serum boost your skin's own ability to make its own hyaouronic acid, and does the Skinceuticals product do so? So, let's start our review - at the ingredients list! Aqua/Water, Cyclohexasiloxane, Glycerin, Alcohol Denat., Hydroxypropyl Tetrahydropyrantriol, Propylene Glycol, Dipotassium Glycyrrhizate, Polysilicone-11, Polymethylsilsesquioxane, Sodium Hyaluronate, Dimethicone, Tocopherol, Phenoxyethanol, Capryloyl Salicylic Acid, Octyldodecanol, Bis-PEG/PPG-16/16 PEG/PPG 16/16 Dimethicone, PEG-20 Methyl Glucose Sesquistearate, Ammonium Polyacryloyldimethyl Taurate, Caprylyl Glycol, Xanthan Gum, Dextrin, Oryza Sativa Extract/Rice Extract, Disodium EDTA, Capryslic/Capric Triglyceride, Sodium Hydroxide, Adenosine, Citrus Nobilis Peel Oil/Mandarin Orange Peel Oil, Limonene, T-Butyl Alcohol, Cellulose Acetate Butyrate, Polyphosphorylcholine Glycol Acrylate, Polyvinyl Alcohol, Sodium Chloride, Butylene Glycol, Pentaerythrityl Tetra-Di-T-Butyl Hydroxyhydrocinnamate. From here, we can see that the ingredients are water, some silicones (Cyclohexasiloxane, Polymethylsilsesquioxane, Dimethicone, Polysilicone-11), which have various purposes - Polymethylsilsesquioxane and Polysilicone-11 are film-formers, Cyclohexasiloxane spreads the product before evaporating, and Dimethicone is more of an emollient. There are also some humectants (Glycerin, Sodium Hyaluronate), including the aforementioned Hyaluronic Acid, which is present at 1.3%. There is also Alcohol Denat., which unfortunately is present in a concentration of higher than 10%. We know this because Alcohol comes before Hydroxypropyl Tetrahydropyrantriol, which is the Proxylane ingredient, which Skinceuticals has indicated is at 10% concentration. After that we also have some solvents (Propylene Glycol), the Licorice Root Extract at 2% (Dipotassium Glycyrrhizate), and then we have Tocopherol (probably here to prevent the product from spoiling), And then we hit Phenoxyethanol, a preservative which is typically present in less than 1%, so we know we've covered most of the main ingredients at this point. Before we move on to the rest of the ingredients, what can we glean from the main ingredients at this point? One very obvious takeaway is the fairly high concentration of alcohol of more than 10%! In this case, the alcohol is likely there as a penetration enhancer and/or carrier for some of the other ingredients, which is why it's there. And, since this is a "booster" product, it's probably meant to be used in conjunction with other more emollient products (like other serums and moisturizers), so some of that subsequent product might help to mitigate the drying effects of alcohol. That said, alcohol can be pretty drying for some skin types, so those with dry or sensitive skins may want to select an alternative with less alcohol. I personally am not a fan of alcohol in such high concentrations myself and would prefer a product with no alcohol, but how tolerant your skin is to alcohol, and how much alcohol you want in your skincare products, is one of those things that vary with personal preference. The next thing is the active ingredients - 10% Hydroxypropyl Tetrahydropyrantriol, 1.3% Sodium Hyaluronate, 2% Dipotassium Glycyrrhizate, 0.2% Oryza Sativa Extract/Rice Extract. I don't have too much to say about the rest of the ingredients - Sodium Hyaluronate is a great humectant, Dipotassium Glycyrrhizate has some brightening properties, but what really interested me was the Hydroxypropyl Tetrahydropyrantriol. At 10%, there is a pretty good amount of it, making this the key workhorse ingredient in the product, and this is L'Oreal Group's Pro-Xylane ingredient, which was released in the market around 10 years ago (thus making it a fairly novel ingredient as far as skincare goes), and is patented by L'Oreal group. So what is with this Hydroxypropyl Tetrahydropyrantriol/Pro-Xylane? Now this is where we can look claims of boosting your skin's own ability to produce its own Hyaluronic Acid. But for that, we have to take a little step back and look at the structure of our skin. Our skin (alongside our other tissue) is comprised in part of the Extracellular Matrix (or ECM) - it's the stuff between our skin cells. Among other functions, the ECM exists between our skin cells as a means to "reinforce the body structure and plasma membranes so that we can withstand gravity and tension" - in the case of our skin, it is also what gives our skin its firmness and elasticity. The "ECM is composed of 2 major classes of biomolecules: glycosaminoglycans (GAGs), most often covalently linked to protein forming the proteoglycans, and fibrous proteins which include collagen, elastin, fibronectin, and laminin". 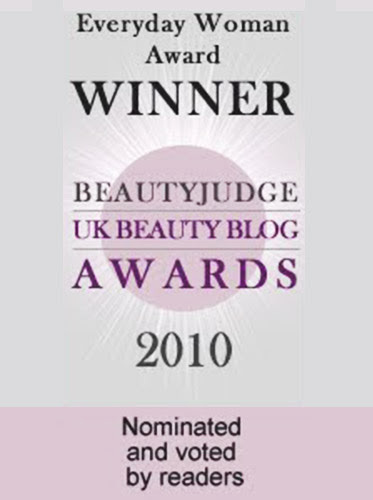 Most casual skincare buyers might not be aware of the ECM or what it is, but they would probably have heard of some of its key components being advertised in skincare products, such as collagen (which makes up 25 to 30% of the total protein mass of our bodies), elastin, and hyaluronic acid - yes, hyaluronic acid is part of our ECM, too. So where does hyaluronic acid come in? 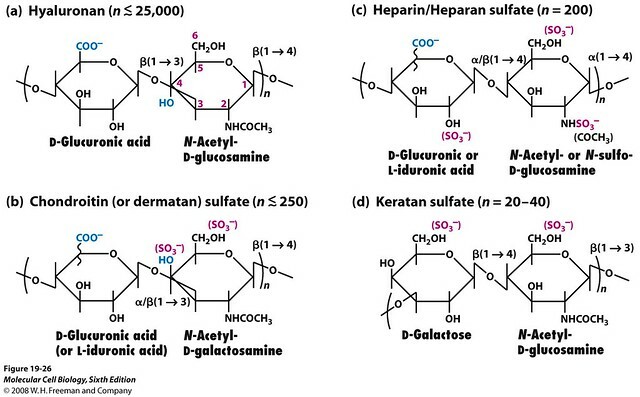 A large component of our ECM are GAGs, and GAGs are basically "are long unbranched polysaccharides containing a repeating disaccharide unit", and refer to multiple types of molecules, but of interest to us are four broad types of GAGs shown below: (1) hyaluronan, (2) chondroitin sulfate and dermatan sulfate, (3) heparan sulfate, and (4) keratan sulfate. In particular for skin, we are particularly interested in dermatan sulfate and hyaluronan, as they are the ones that occur most frequently in our skin. 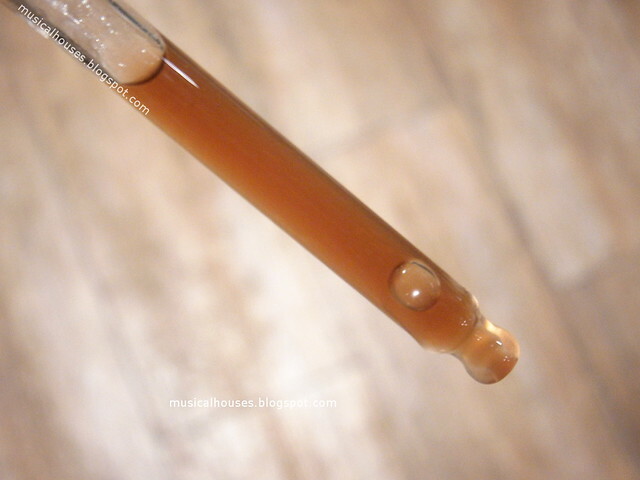 Hyaluronan is often called hyaluronic acid as well, so hyaluronic acid is one of the types of GAGs, which in turn are a major component of our skin's ECM. So, back to the Skinceuticals HA Intensifier and its 10% Pro-Xylane. What does this have to do with GAGs, or hyaluronic acid? L'Oreal group has published a good number of published papers Pro-Xylane and its skin benefits over the years, although the compound isn't always called Pro-Xylane in the papers - sometimes it's called c-xylopyranoside, sometimes it's C-Xyloside, and so on. In L'Oreal's papers, Pro-Xylane has been shown to "stimulate sulfated glycosaminoglycans (GAGs) synthesis", which means it could potentially increase the skin's synthesis of dermatan sulfate in the skin. In addition, Pro-Xylane has also been shown to bring about "an increase in glycosaminoglycan synthesis by human dermal fibroblasts in culture", which in turn "may lead to the preservation of matrix integrity and thereby contribute to the firmness of skin". And this is effective at 10% concentration too - one of L'Oreal's studies looked at 10% Pro-Xylane as compared against a placebo, and found that "topical C-xyloside application in vivo may be efficient in inducing a better dermal-epidermal cohesion when such a junction is deficient, as is the case in photo-aged or chronologically aged skin". So because Pro-Xylane helps to increase the synthesis of GAGs in the skin, of which Hyaluronic Acid is one, the Skinceuticals HA Intensifier can thus legitimately claim to boost skin's own Hyaluronic Acid production. Another nice thing is that because it boosts the synthesis of GAGs as a whole, it can help to reinforce skin's own ECM. And because the ECM is in part what gives our skin its firmness, this would translate in turn into anti-aging, particularly firming benefits. In this sense, while "omg this product totally boosts your skin's own ability to make its own Hyaluronic Acid!" is normally the kind of skincare claim I'd roll my eyes at, in the case of the HA Intensifier, it's actually a valid claim. So, now that we've looked at the HA Intensifier ingredients, and how exactly it claims to boost skin's own Hyaluronic Acid production, what is it like when you actually use the product? 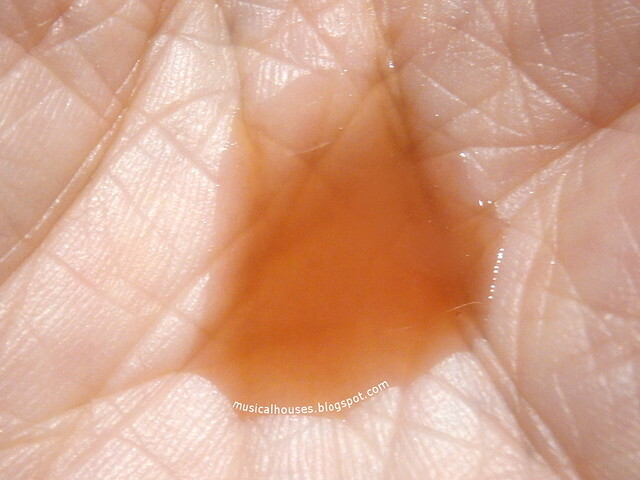 The HA Intensifier, despite the alcohol content, is still a little tacky as far as texture goes, although it absorbs well enough. I was expecting a watery-type liquid, but I got something that felt a bit more like an old school serum or essence (perhaps the alcohol was included to manage the tackiness of the product). The product was mostly scentless, and Skinceuticals hasn't added any fragrance to the product, and the scent of "raw" unfragranced product was a slight whiff of vinegar - noone else seemed to get the scent though, so perhaps it was just me and my oversensitive nose. Fortunately, the scent doesn't linger, and dissipates the moment you apply it on the skin. The purple colour is interesting too - I'm told that there was no colouring added to the product, and this is just the result of some of the plant extracts in the product, particularly the purple rice. 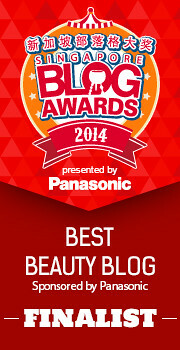 When I used the product, I found that my overall skin condition seemed to improve. I'm not quite at the age of being concerned with skin firmness just yet (give me a few more years), so I wouldn't have been able to report any particularly dramatic results, but this seemed to work pretty well overall. It also works well with the rest of my skincare regime, and didn't ball or peel when other moisturizers and serums were layered over it. 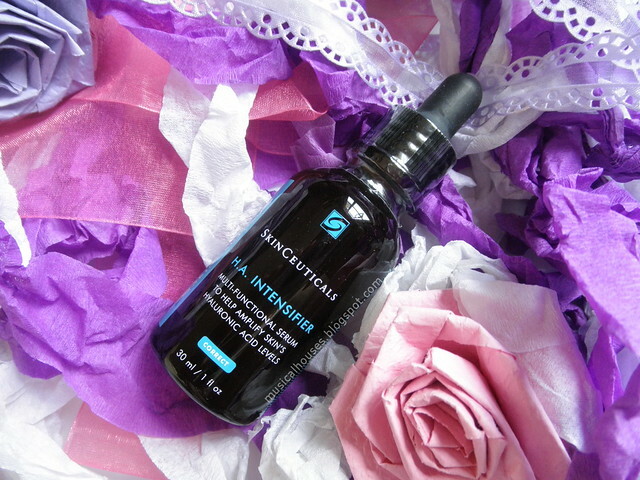 So, with that really long review done, would I recommend the Skinceuticals HA Intensifier? I'd say probably, with some caveats. On one hand, the inclusion of 10% Pro-Xylane, and the fairly strong evidence of Pro-Xylane for stimulating the production of GAGs, improving the skin's ECM, and improving skin firmness makes me think that this is a great anti-aging product. But on the other hande, the product's high alcohol content makes me stop short of recommending it for everyone unreservedly, because I recognize that some people may wish to avoid alcohol in their skincare products. At the end of the day, I do think this is a product that does work, and does what it claims, but the alcohol is a drawback, and if you can tolerate the alcohol in the product, then this would be worth looking into. The Bottom Line: Skinceuticals HA Intensifier contains 10% Pro-Xylane, which does help skin strengthen its extracellular matrix, and live up to the product's claims of boosting hyaluronic acid production, however the high (>10%) alcohol content might make this problematic for some. Great review! I'm really curious to try this one and I think I'm willing to overlook the alcohol this time, since it's a booster as you mentioned. Thank you for the outstanding and thorough review. My skin can tolerate the alcohol but I am curious how well it really does with the other claims. 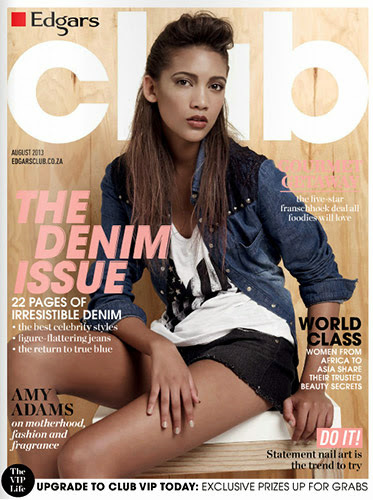 I am very interested since it also may have a the skin lightening effect as well. If anyone has used this for a while I would love to hear their thoughts. @Julia: The skin lightening effect will be primarily derived from the licorice root extract, which is there in 2%. So because the % of licorice root is fairly low, any brightening effect you get would not really be that dramatic. This isn't really a brightening product, it's more of an anti-aging and firming product, and the skin brightening is kind of a side benefit. Hope this helps! Have you ever thought of reviewing CosRx products? 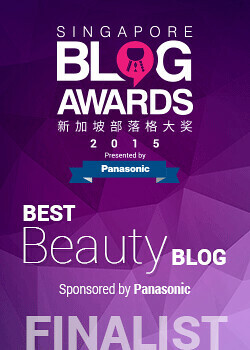 I keep seeing people rave about them on reddit as the cheaper korean version of SkinCeuticals and Paulas Choice. Which sounds waaay too good to be true. This review is amazing! So thorough. I feel like I've just had a double Biology lesson! Thanks for such a informative blog post.